Widely regarded as a game-changer, this will be India's first missile-armed drone. It will give India stand-off cross-border strike capability against adversaries, home in on targets like terrorist camps and bombard these remotely, minimising physical risk otherwise undertaken by soldiers. The Heron TP weaponised drones can detect, track and destroy targets, including mobiles ones, with air-to-ground missiles. These drones will give a new dimension to India's counter-terrorism capability. India is believed to have ordered 10 of these hell-wreaking drones for an estimated $400 million. 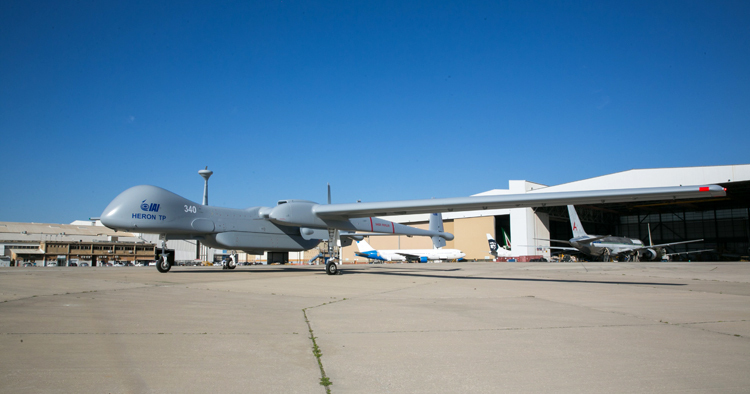 This acquisition will significantly scale up not just India's UAV collaboration with Israel but also significantly push up the stakes in the New Delhi-Tel Aviv strategic partnership. Reported to be in-the-works since 2015, the deal is said to have been finally clinched in 2018. The second of India's indigenously-developed and produced ballistic missile firing nuclear-powered submarines, Arighat will join the nuclear deterrence fleet. It will join the Arihant in beefing up the third leg of India's Nuclear Triad, lending more strength and credibility to India's nuclear deterrence posture. The underwater leg of the Triad, regarded as the most survivable in the event of a decapitating attack by an adversary, is critical for India in view of its nuclear weapons doctrine of 'No First Use'. 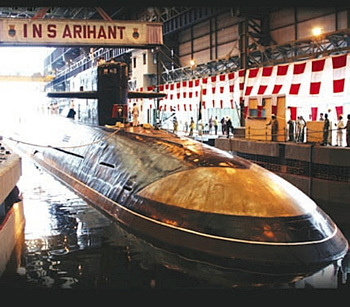 The Arihant Ship Submersible Ballistic Nuclear (SSBN) series of submarines are weapons of global significance. India is the only country outside the P5 which has this capability. 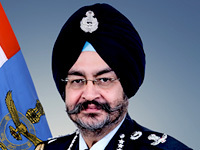 The operationalisation of India's first Inter-Continental Ballistic Missile (ICBM), Agni-5, will demonstrate the increasing maturity of India's nuclear arsenal. This will make the arsenal of India's Strategic Forces Command so much more potent with an Inter-Continental reach for its weapons. The three-stage Agni-5 is reported to have a range above 5,000 km. It incorporates key improvements in propulsion, navigation, guidance and re-entry technologies achieved during the course of India's Integrated Guided Missile Programme which started in 1983. 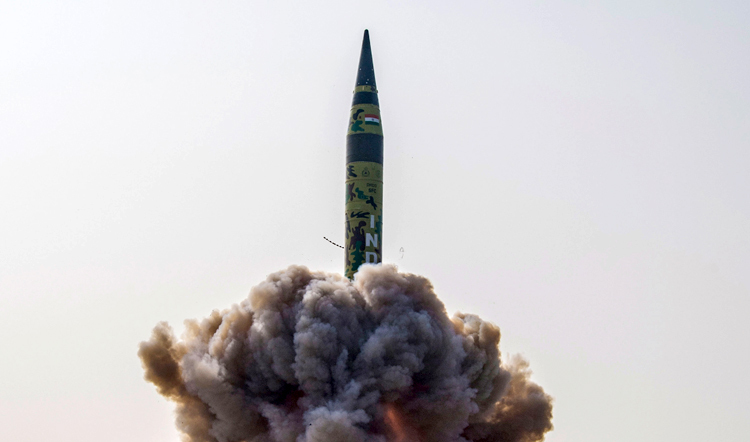 The Agni-5 is reported to carry a 1.5 ton nuclear warhead. The Indian Air Force will get its first batch of Rafale fighter aircraft by September 2019. All 36 ordered are contractually required to be delivered by 2022. The Rafale induction will come 18 years after the initiation of process to get a medium multi-role combat aircraft for the IAF. This will be the IAF's first new western fighter type after the Mirage-2000 in 1985. 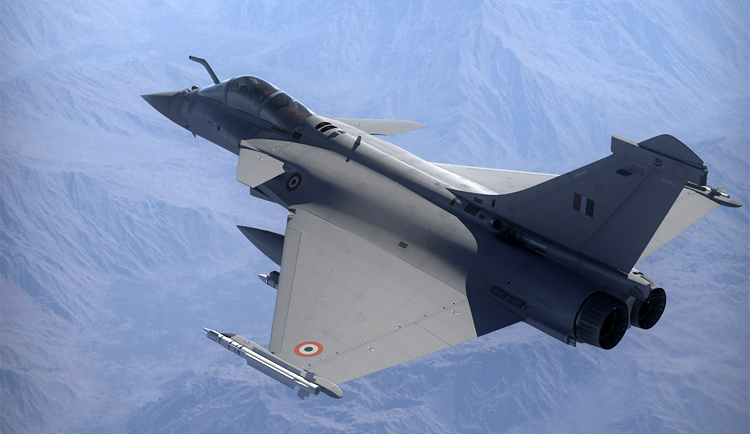 The Indian Rafale will be armed with state-of-the-art weaponry including the Scalp - a precision, long-range ground attack missile, which will be the most lethal in the IAF's armoury. It will also come with the Meteor, a beyond visual range air-to-air missile with an interception range of over 100 km, and reported to be the best in its class. As many as 13 India-specific enhancements include helmet-mounted sights and targeting systems, cold start at high-altitude bases, radar warning receiver to identify hostile tracking systems, towed decoy system to divert incoming missiles. The French suppliers will provide industrial support this aircraft for 50 years. Another game changer, the first lot of the 22 Apache attack helicopter ordered by India will be delivered by March. This is one of the most iconic symbols of American military might, and used to deadly effect in Iraq, Afghanistan and Somalia. Widely regarded as the most lethal helicopter gunship in the world, 2,200 Apaches have been sold worldwide by the manufacturer, Boeing. The Apaches for India will be armed with the Hellfire Longbow and Stinger Block I-92H missiles, night vision sensors and inertial navigation systems. In its notification to the US Congress, the Pentagon stated that "this will strengthen India's ability to defend its homeland and deter regional threats". It's 30-mm cannon can fire 1,200 rounds in less than two minutes. It can also carry as many as eighty 70 mm rockets. This "tank killer" is being inducted to play a decisive role in providing cover to advancing strike formations on the ground, and also an armoured gunship against heavily-armed terrorists. 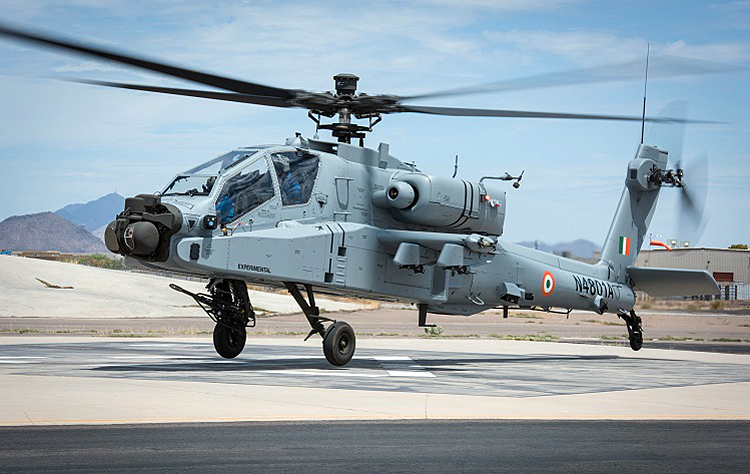 The Indian contract provides for the option of a follow-on contract for 11 more Apaches. Chinook is the other iconic American helicopter which will be inducted by the IAF this year in July. Its signature twin rotors make this versatile troop and weapon carrier stand apart. India seeks assets like the Chinook to airlift weapons such as the recently-acquired M777 Ultra Light Howitzer into distant mountainous battle zones. This artillery gun can be slung under this helicopter, and quickly transported to provide firepower support to troop formations. 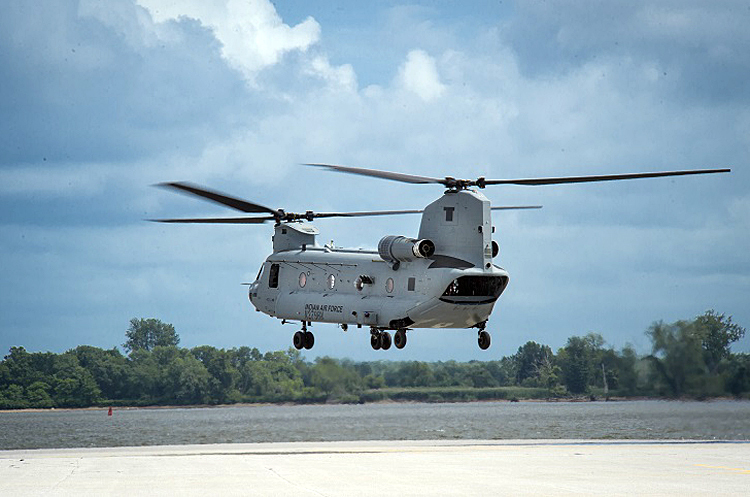 India has ordered 15 Chinooks, and has the option for a follow-on order for another seven. This chopper has also been widely used in humanitarian assistance and disaster relief operations worldwide. The second and third of the six Scorpene attack submarines being built at Mazagon Docks, Mumbai, under Project 75 will be ready for naval service this year. 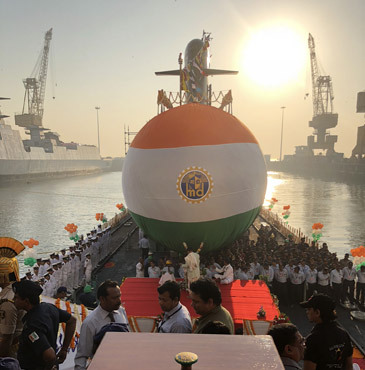 Christened the Kalvari class after the first Indian-made Scorpene submarine, these will make up the desperately required numbers for Indian conventional submarine fleet, and also modernise the Indian Navy's underwater arm. 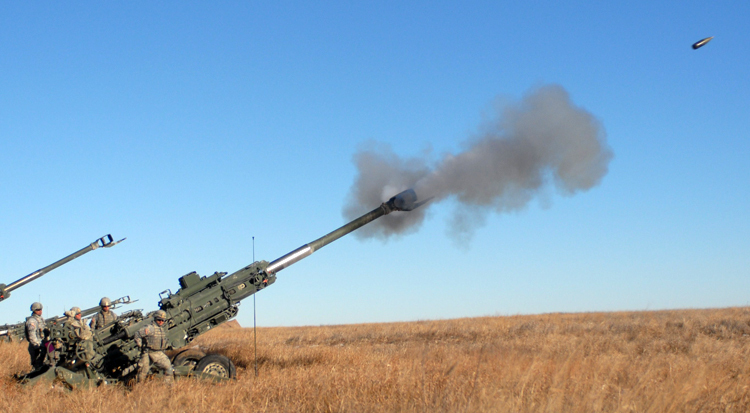 The M777 Ultra Light Howitzers and the K9 Vajra tracked artillery guns will be operationalised in their first respective regiments in the Indian Army. These are the first new artillery guns to be inducted into the Indian Army after the Bofors acquisition in 1986. This provides the much needed firepower renewal for the Indian Army. There's a Make in India element to both these inductions. One hundred and forty five M777 guns are being acquired under an FMS deal with the US. Twenty-five of these guns are being directly imported. The remaining 120 will be assembled at an Assembly, Integration and Testing Facility in Faridabad. The manufacturer, BAE has chosen Mahindra for the assembly in India. One hundred K9 Vajra guns are being assembled by L&T in India in collaboration with the South Korean Hanwha. The Indian Army's foot soldier finally has something to cheer about. He will finally get a contemporary assault rifle and carbine this year. 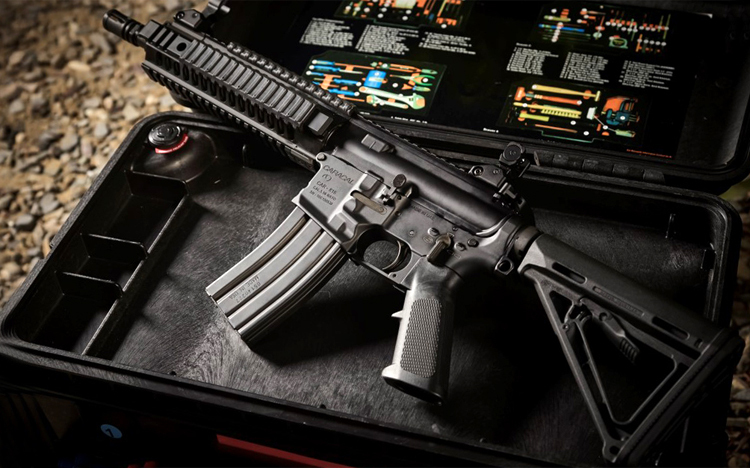 The Indian Army will start getting the first lot of 77,000 SiG Sauer SiG 716 assault rifles and 93,895 Caracal carbines, which are being imported under fast tracked programmes. Army Chief General Bipin Rawat has said the principal focus of the modernisation drive is to improve the lethality and survivability of the Indian foot soldier. The SiG-716, which fires 7.62 mm ammunition, will replace the indigenous INSAS rifle which the Army has been unhappy with for a long time. The Caracal will replace the vintage Sterling 9 mm carbine. These initial inductions will be followed up by Make in India programmes for 650,000 assault rifles and 350,000 carbines. Kalashnikov is reported to be in the reckoning for making the AK-103 in partnership with the Ordnance Factory Board. For the carbine tender, several leading small arms manufacturers including Caracal, Colt, IWI, S&T Motiv and Beretta are likely to compete. The Indian Army also gets the Italian Beretta Lapua Magnum and American Barrett M95 guns to replace the ageing Soviet-origin Dragonov rifles. Both guns have been used effectively in Iraq and Afghanistan. The initial lot of over 700 guns will be supplied to meet the very pressing requirements of the Indian Army's Northern Command on the Line of Control, where Indian troops are repeatedly being targeted by Pakistani snipers. The larger requirement of over 5,000 guns will be met subsequently through a capital acquisitions programme. The .338 calibre Beretta Lapua Magnum Scorpio TGT can be used for kills at a distance of up to 1,500 metres. It accounts for some record breaking sniper shots. The Barrett M95 is also used as an anti-materiels rifle (AMR), in the role of a bunker buster to target enemies holed up behind fortified defences. This .50 calibre weapon has a kill range of 1,800 metres, and will supplement the Indian Army's Denel AMR's acquired from South Africa post the Kargil War in 1999. 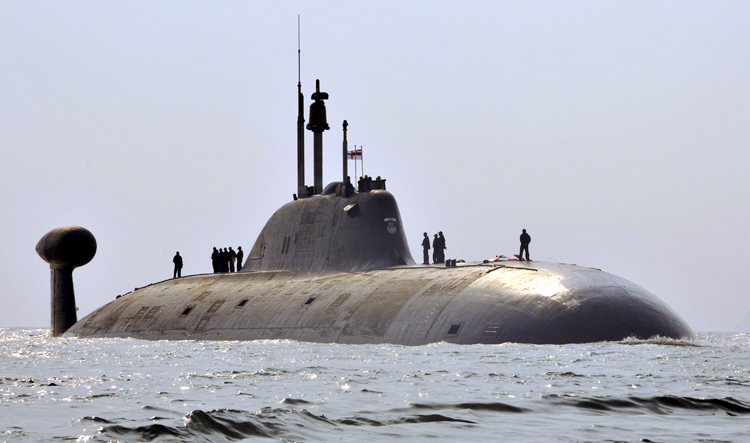 India and Russia are expected to sign the lease of the second Akula class nuclear-powered attack submarine (SSN). 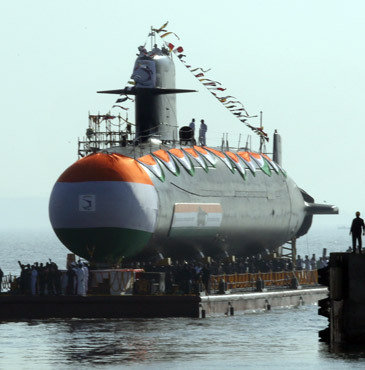 The first, christened INS Chakra, was leased to India for 10 years, and commissioned into the Indian Navy in April 2012. Although this 8,140-tonne submarine is not nuclear-armed, its long endurance and high speed gives India a huge advantage and 'long legs' in the Indian Ocean Region (IOR). It's an effective sea denial weapon, and the lease of the second submarine would ensure that one of these highly valued assets is always operationally available. The US has offered at least 22 weaponised Guardian drones to India. 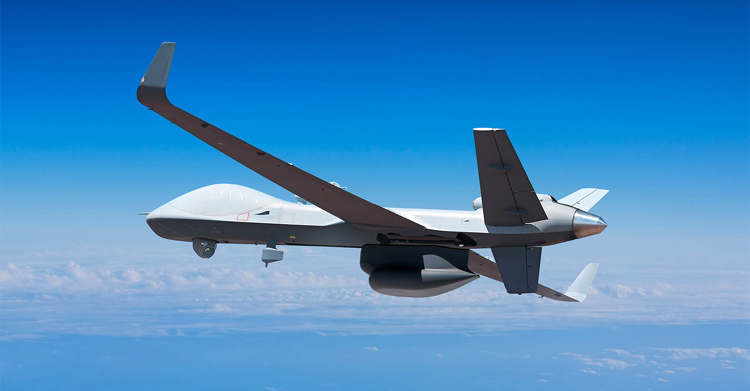 The earlier approval was for the sale of 22 unarmed MQ-9B version of General Atomic's Guardian surveillance drone for the Indian Navy for an estimated $ 2 Billion. Subsequently, the armed version is on the plate. The Indian Navy has reportedly taken the position that the cost does not justify buying an unarmed drone. Revised numbers are said to be under discussion. This is being pursued along the Government-to-Government Foreign Military Sales (FMS) route. Its co-option of India under the Missile Technology Control Regime (MTCR) has enabled the sale of long endurance and armed drones to India. 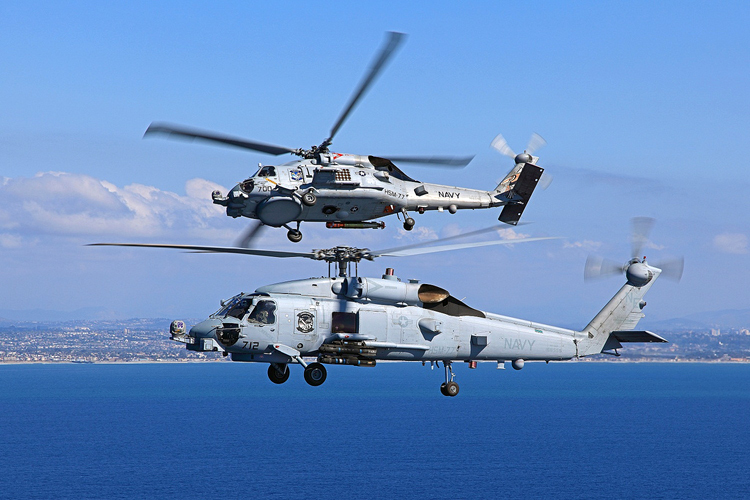 As a consequence of an urgent operational requirement for the Indian Navy, a $2 billion government-to-government deal for 24 MH-60 R Seahawk multi-role helicopters is expected to be signed with the US before March 31, 2019. The MH-60 'Romeo' Seahawk, manufactured by Lockheed Martin and its Sikorsky unit, is a proven platform for anti-submarine warfare. A quick deal is reported to be in the works, as the Indian Navy wants the first lot of these helicopters to be delivered this year. The Navy is also pushing, under a separate 'Make in India' process, the acquisition of 123 multi-role helicopters. With Hindustan Aeronautics Limited (HAL) declaring the indigenous Light Combat Helicopter (LCH) ready for induction, the decks have been cleared for an early deal for 15 of these gunships. It is expected that two separate contracts to supply 10 LCH to the IAF and five to the Army could be signed at the forthcoming edition of India's biggest biennial airshow, Aero India at Bengaluru in February. The contracts are expected to be worth 3,000 crore. HAL recently disclosed a successful test-firing of the Mistral 2 air-to-air missile from the LCH, and declared all weapons trials concluded. 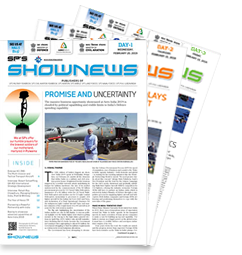 The Indian Army, which is seeking control of the attack helicopter role from the IAF, also expects to sign a contract for the Apaches this year. Its Chief, General Bipin Rawat, recently hailed the Apache as "a tank in the air". 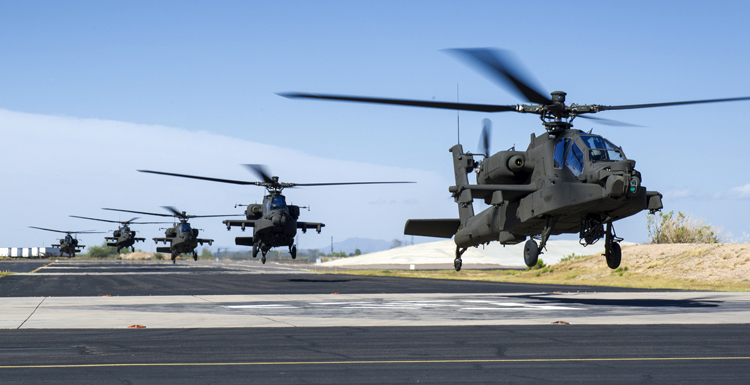 The Army is looking at an initial induction of 6 Apaches into the Army Aviation Corps.